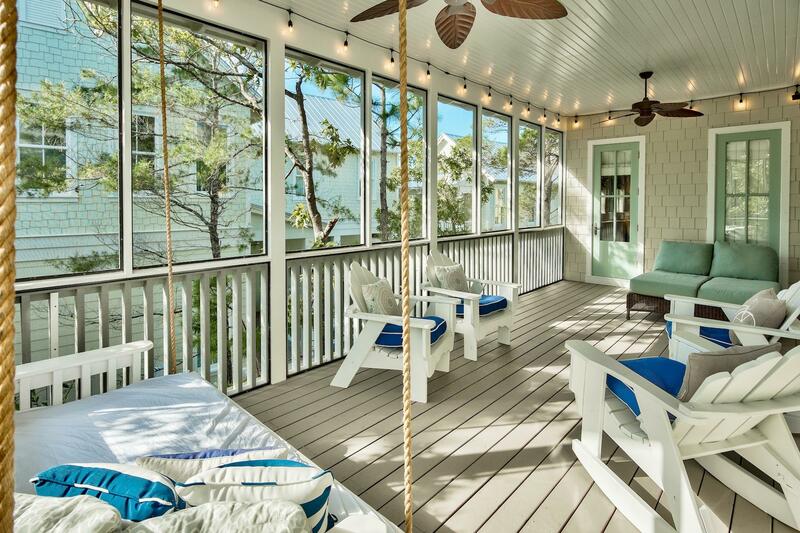 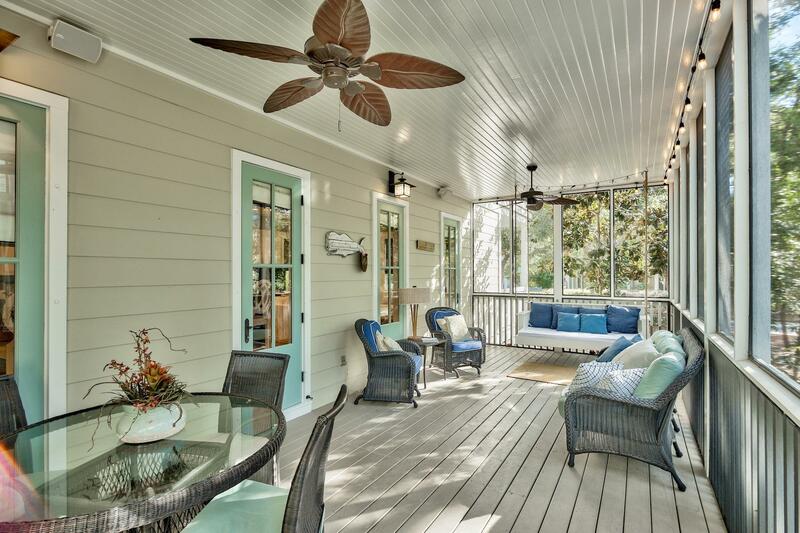 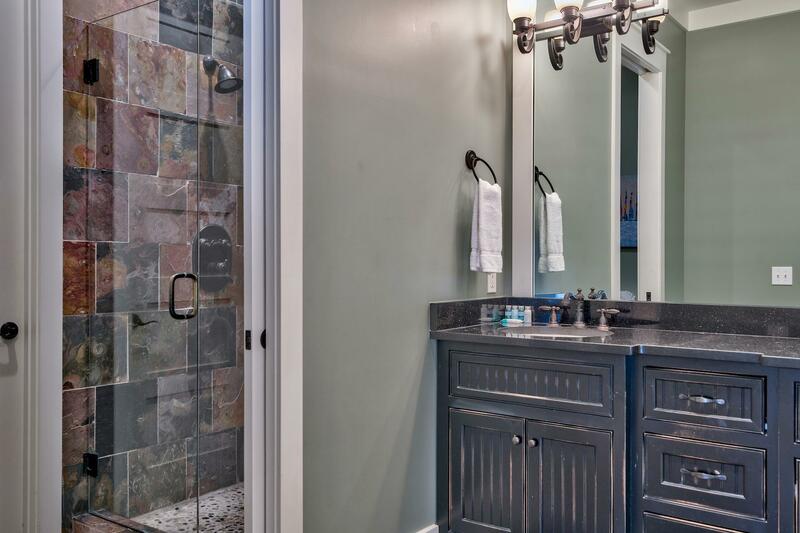 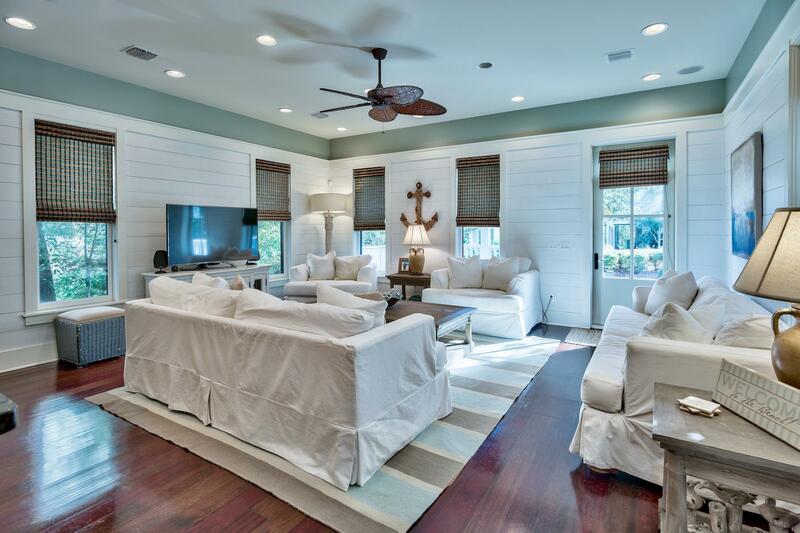 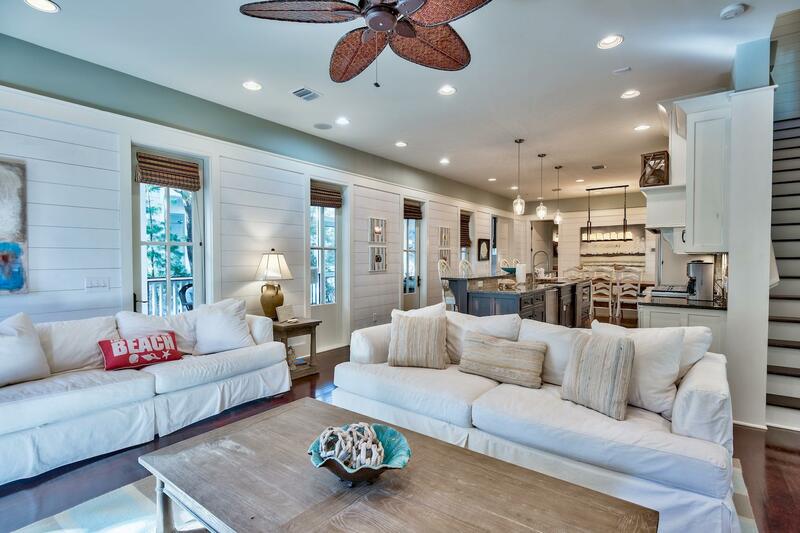 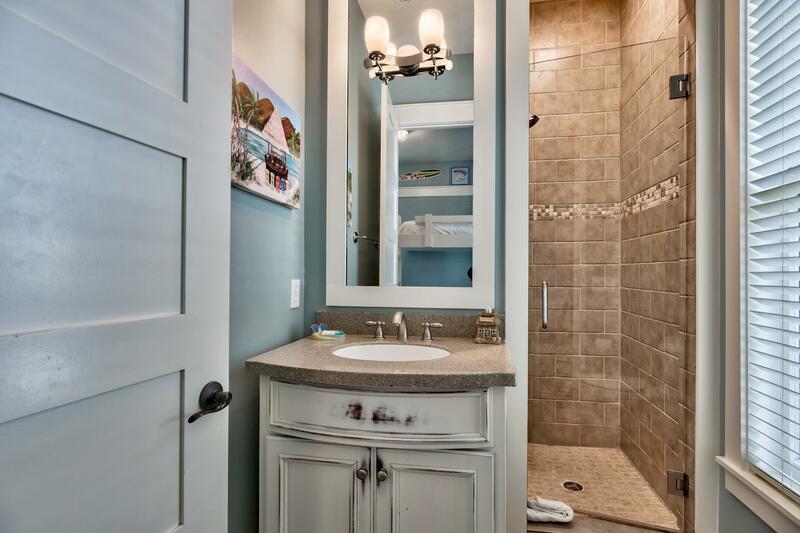 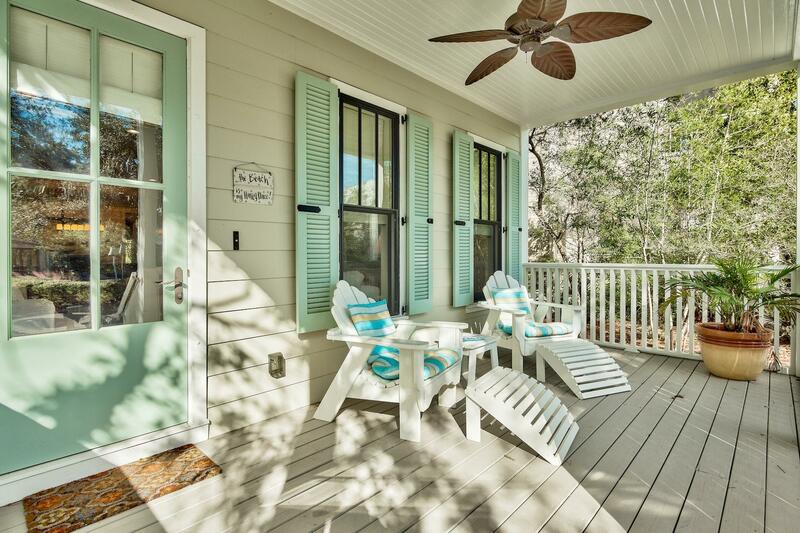 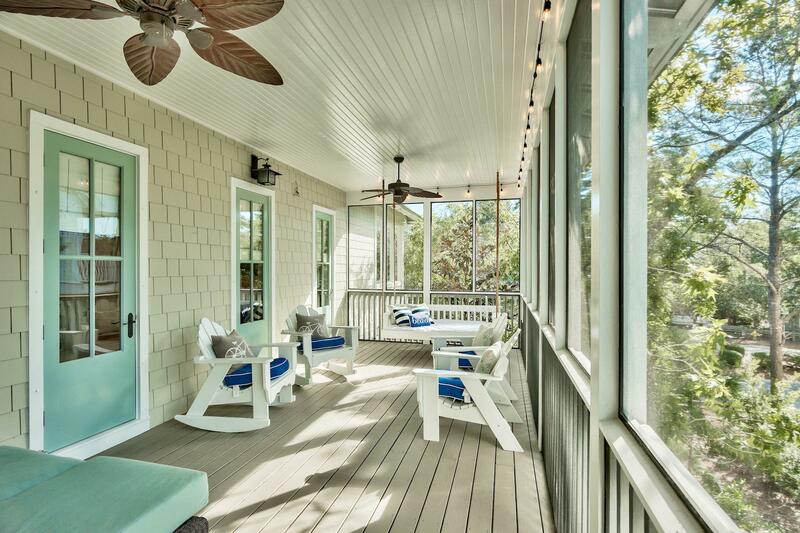 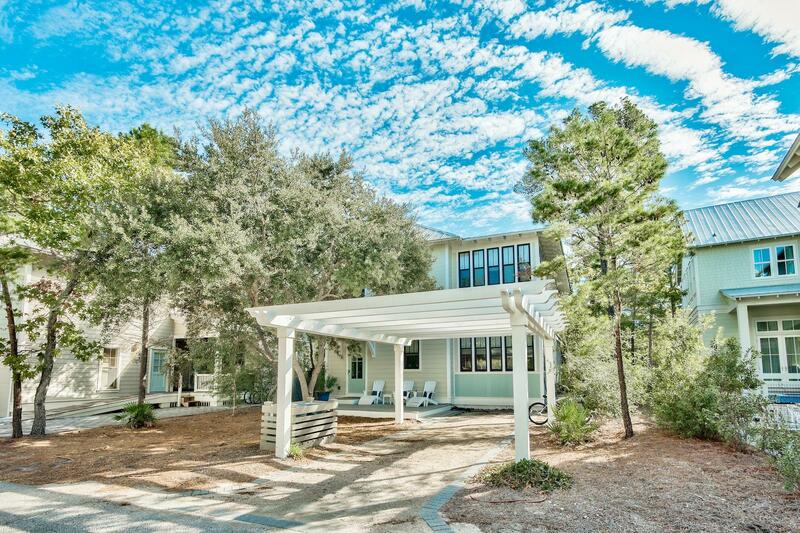 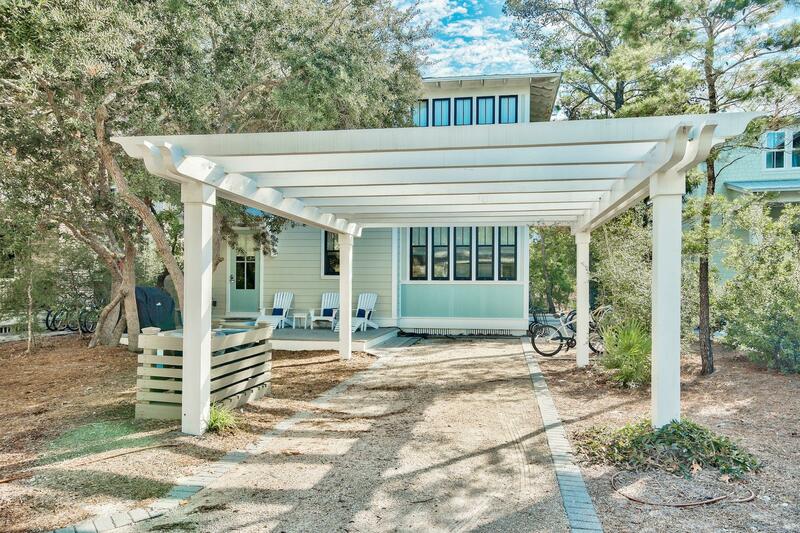 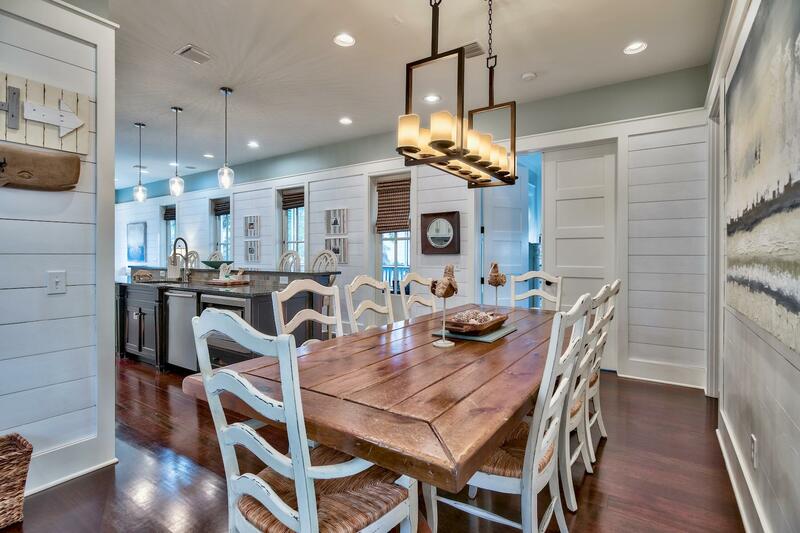 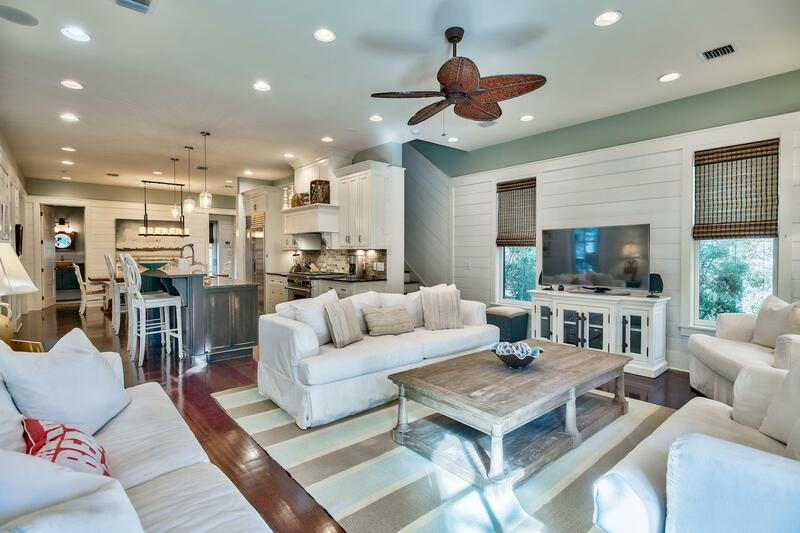 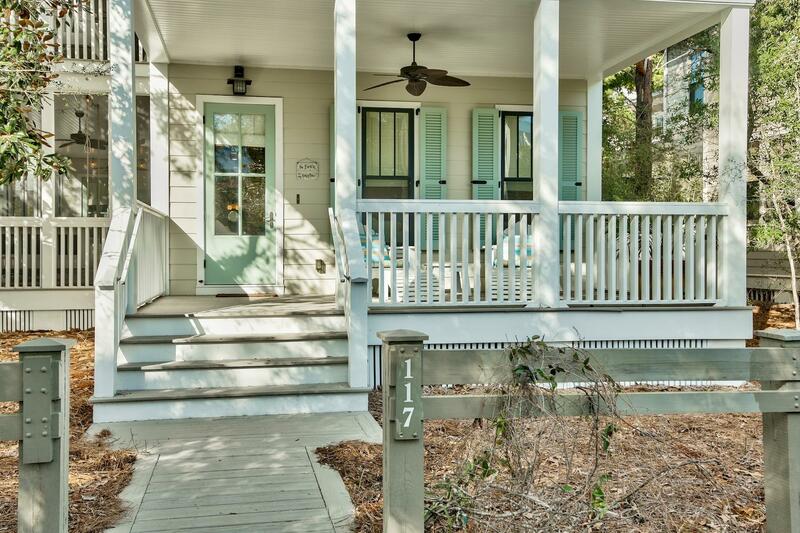 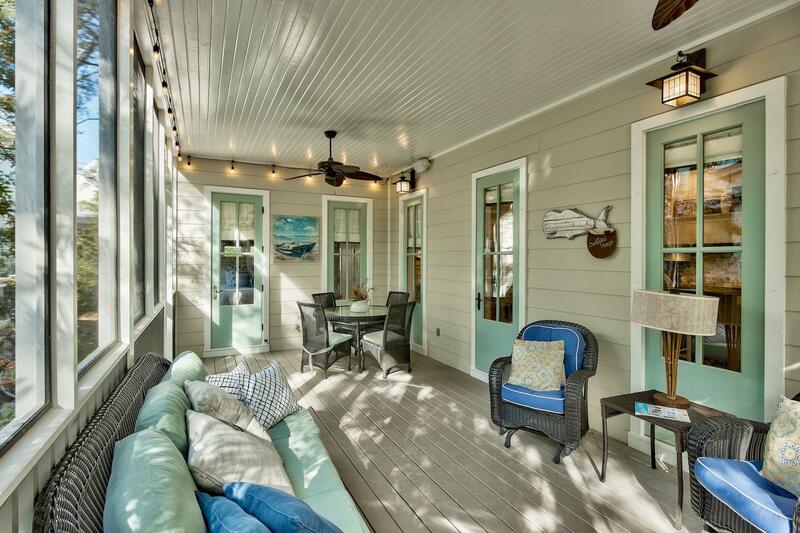 Enviably located between Grayton Beach and Seaside, this laid-back WaterColor home is in a secluded position close to the community pool and Camp WaterColor. 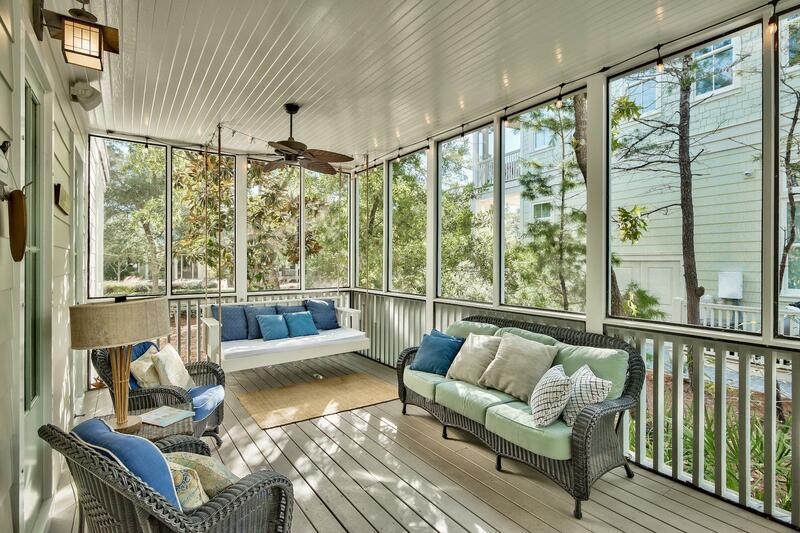 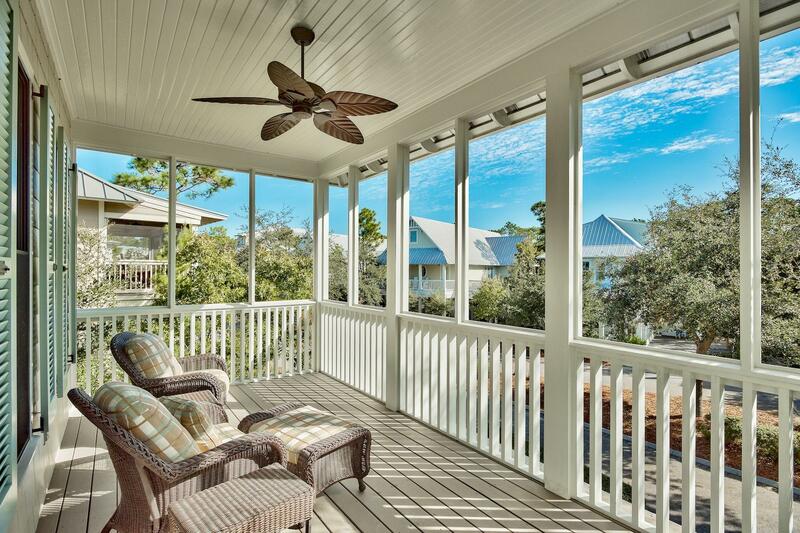 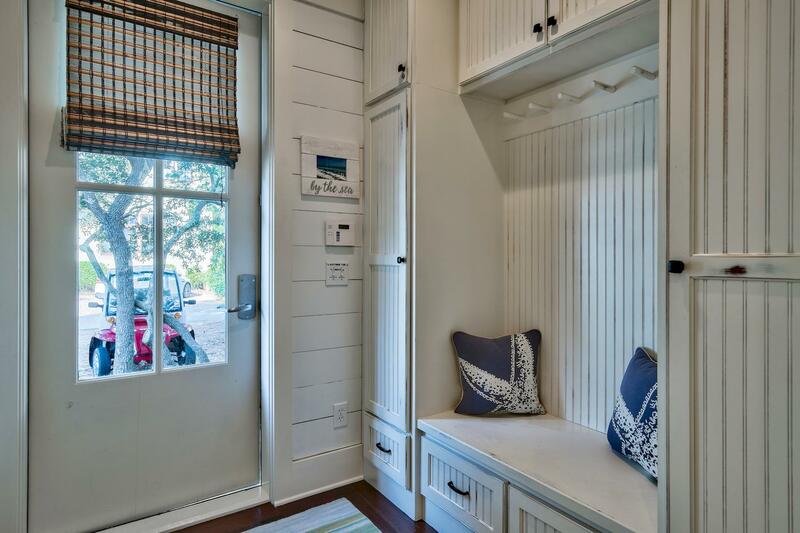 It was designed for experiencing the outdoor Florida lifestyle with screened and open porches on both levels. 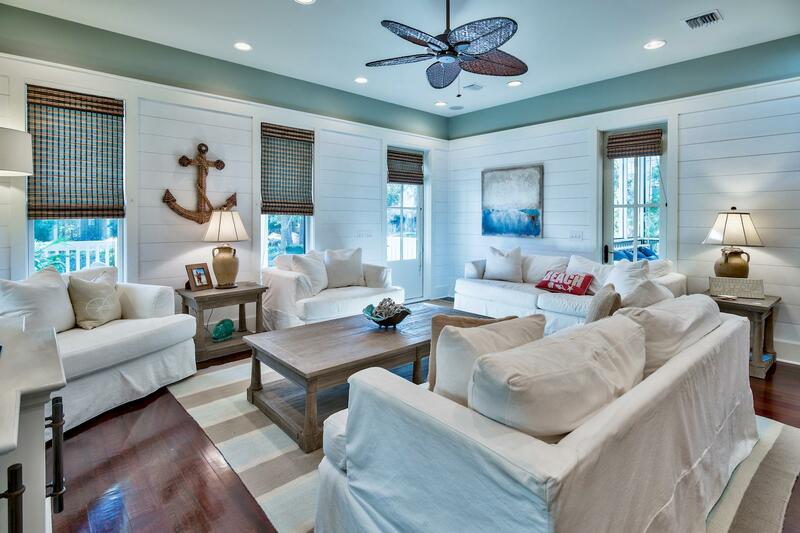 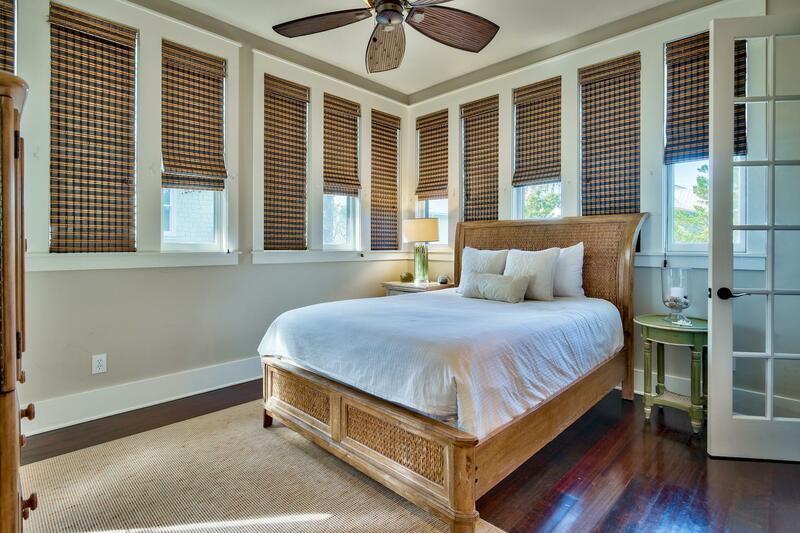 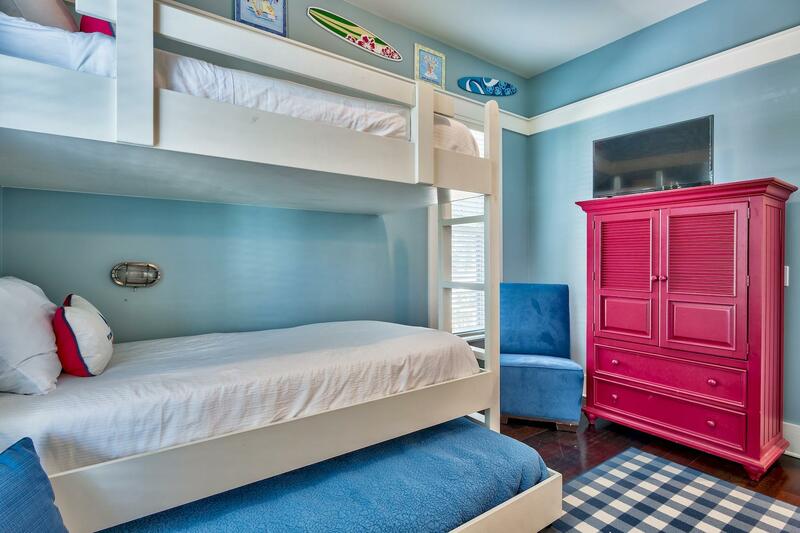 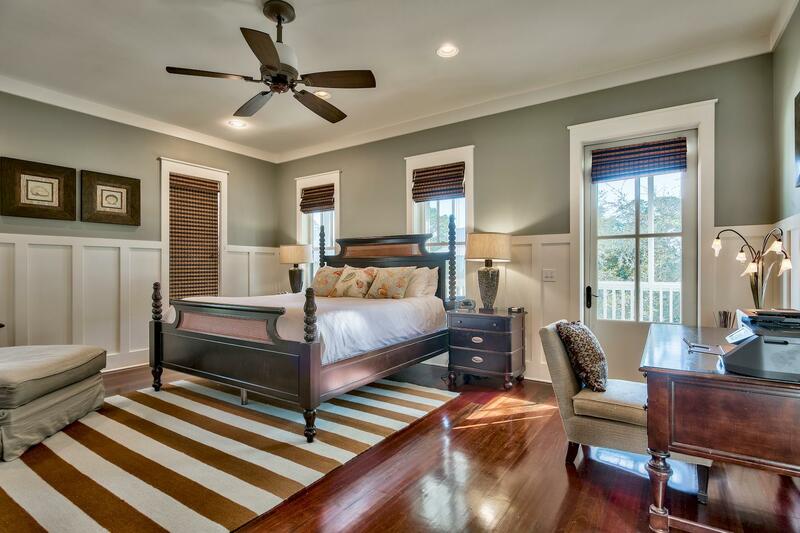 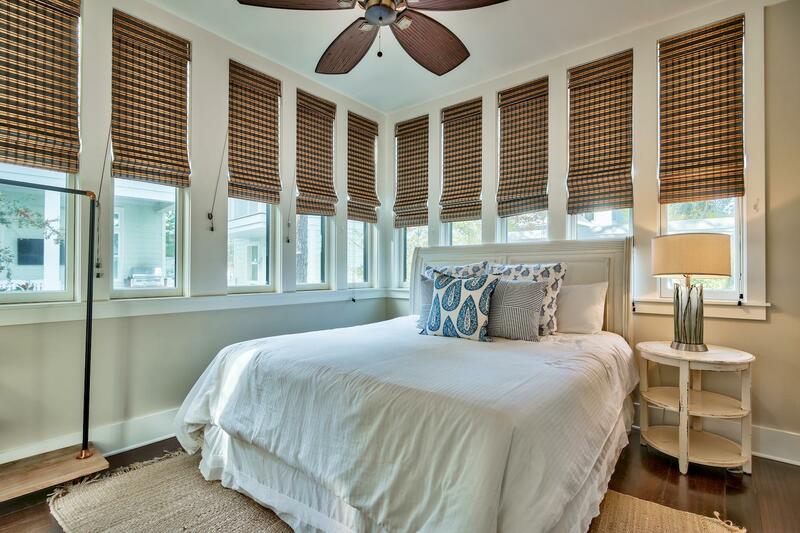 Spacious rooms are freshly painted and enhanced by gleaming hardwood flooring and ''beachy'' timber-clad walls. 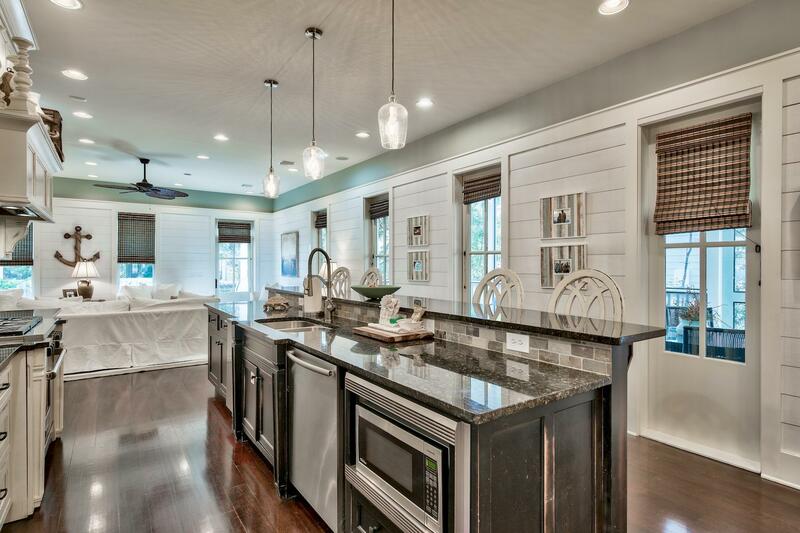 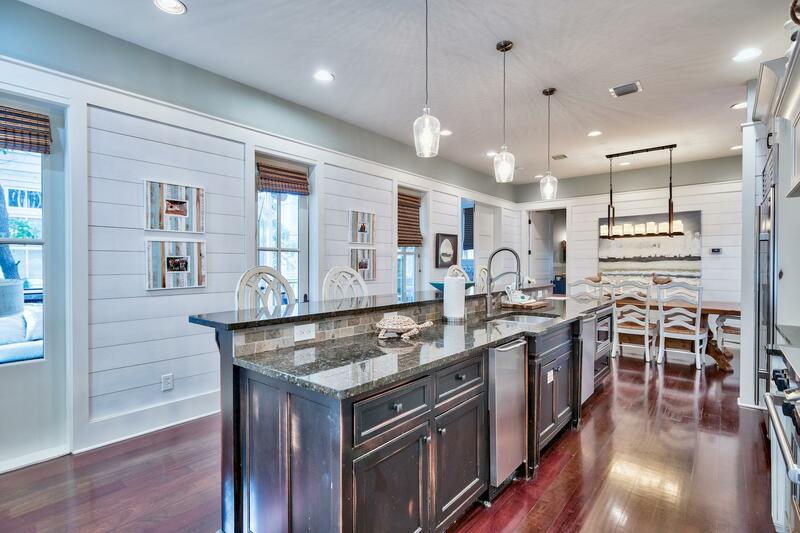 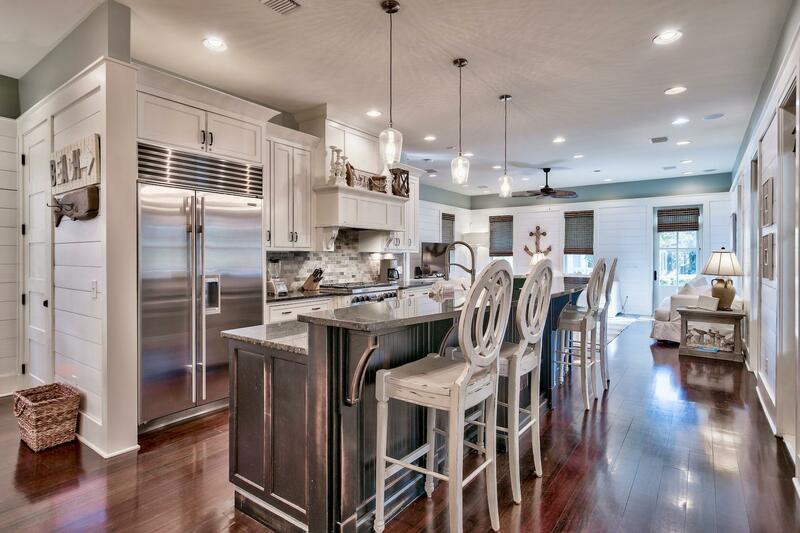 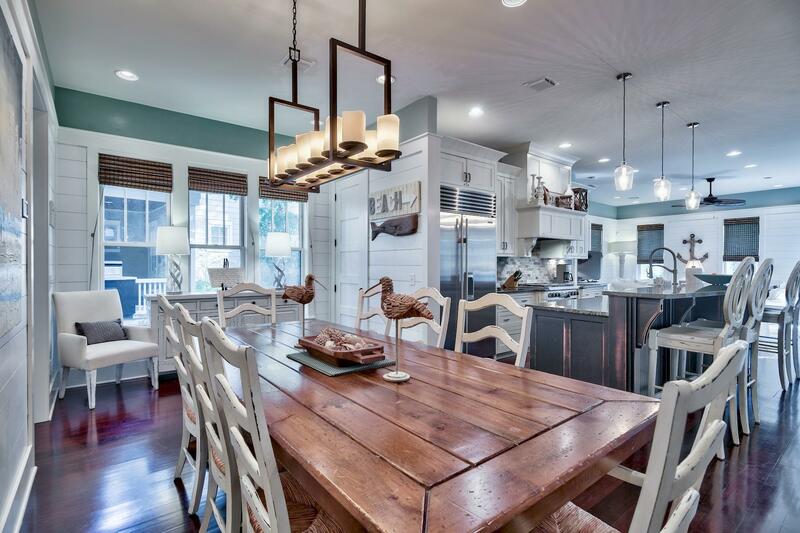 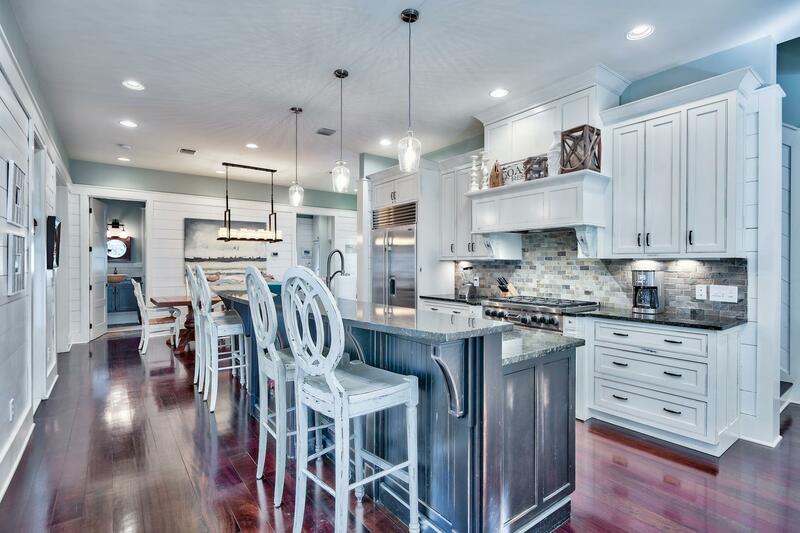 Granite counters and high-end cabinets grace the chef's kitchen which centers on an island breakfast bar. 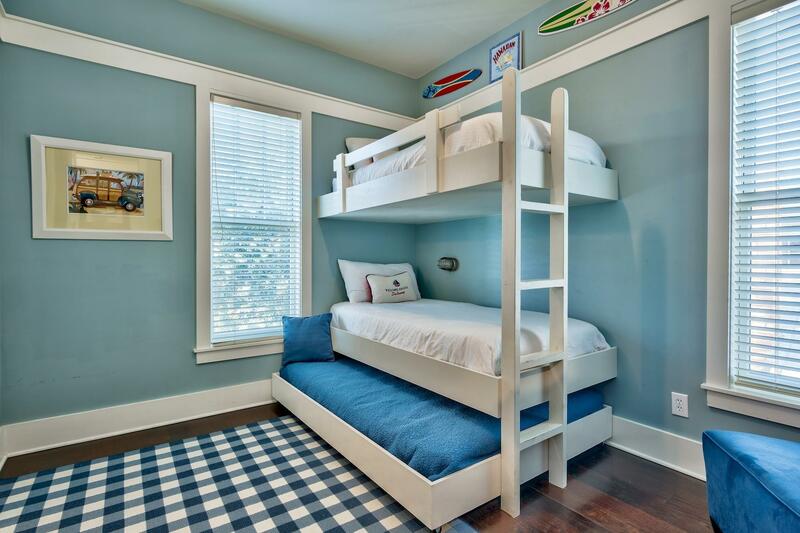 The first floor bedroom allows you to live on one level, if you wish. 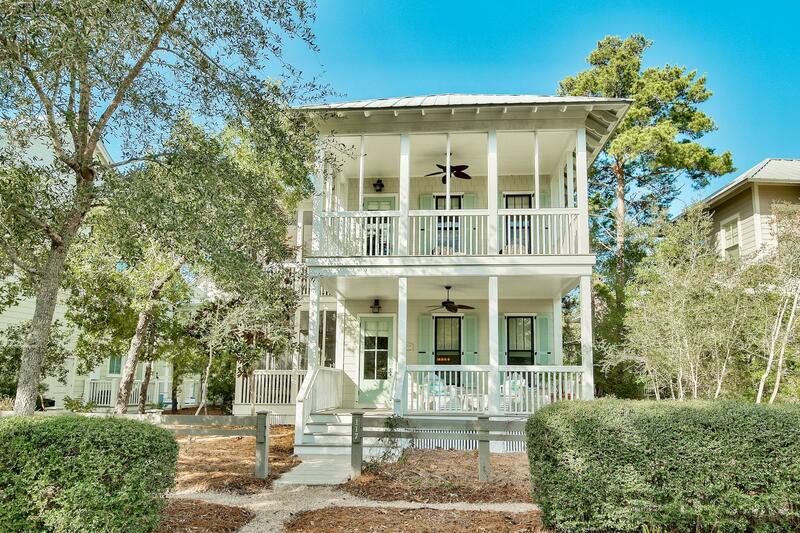 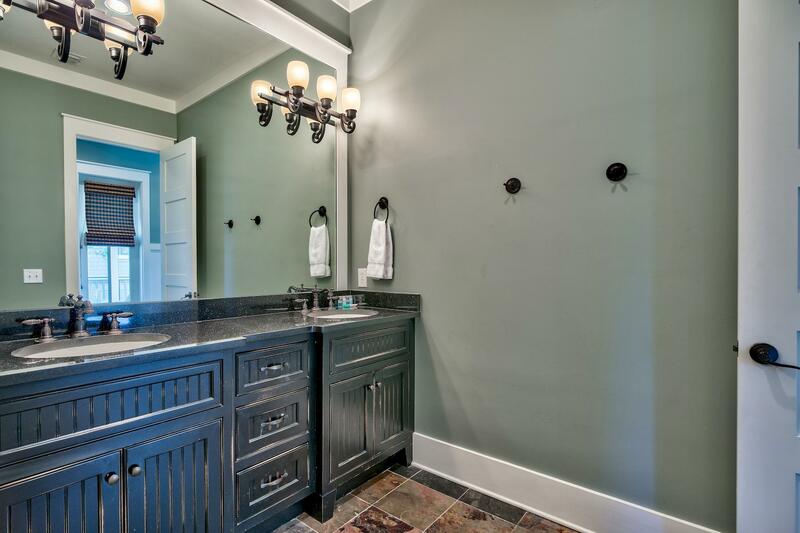 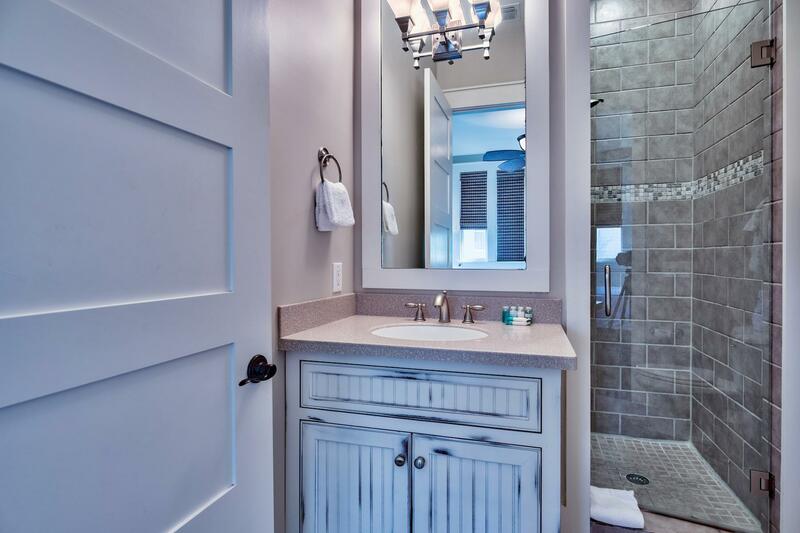 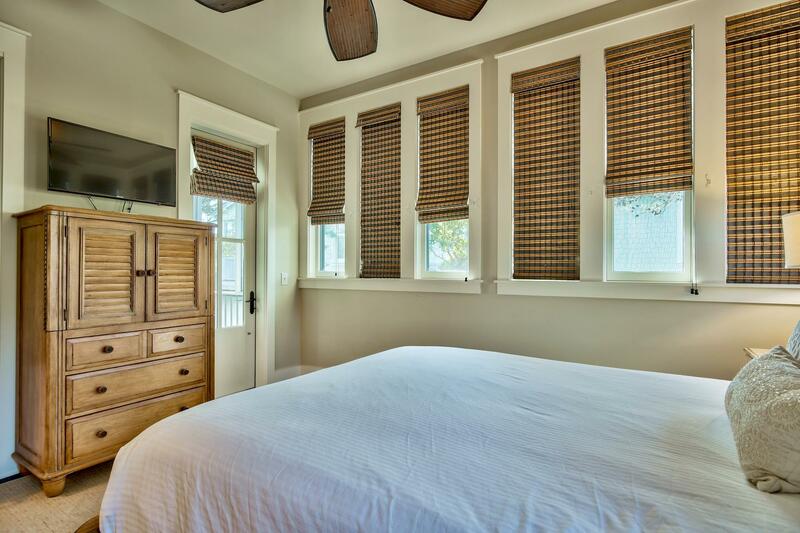 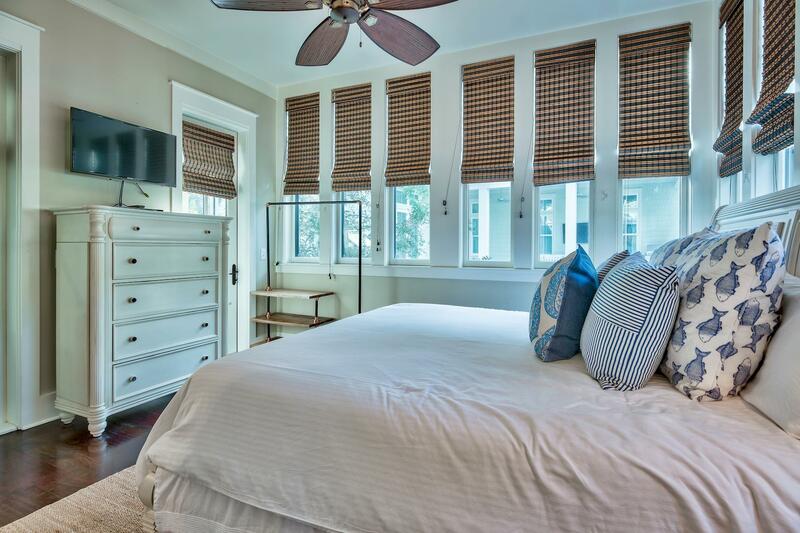 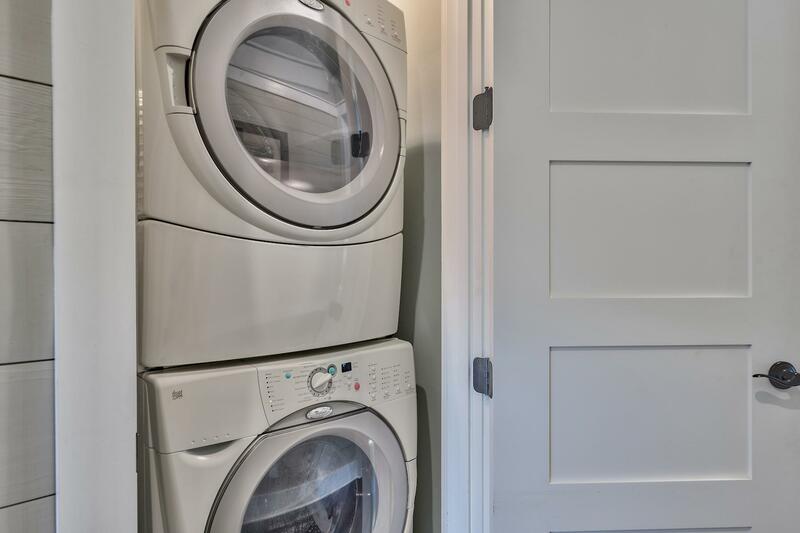 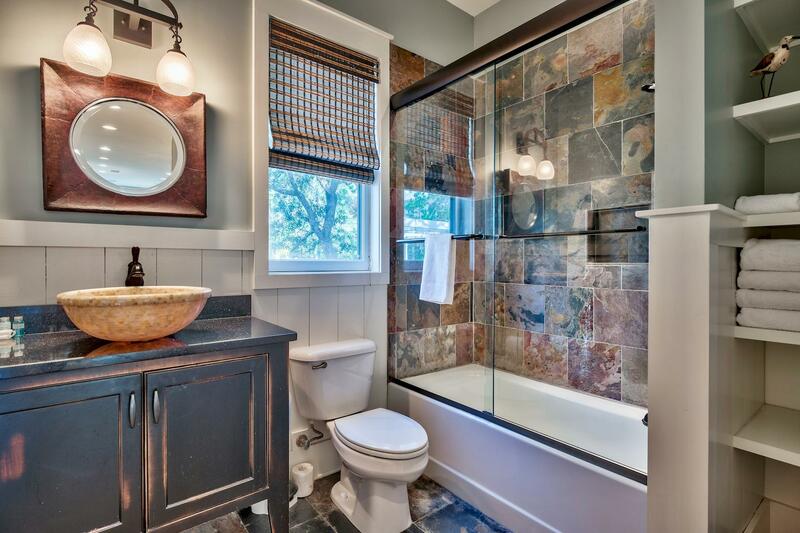 Four bedrooms, four bathrooms and ample parking space has made this a popular vacation rental property. 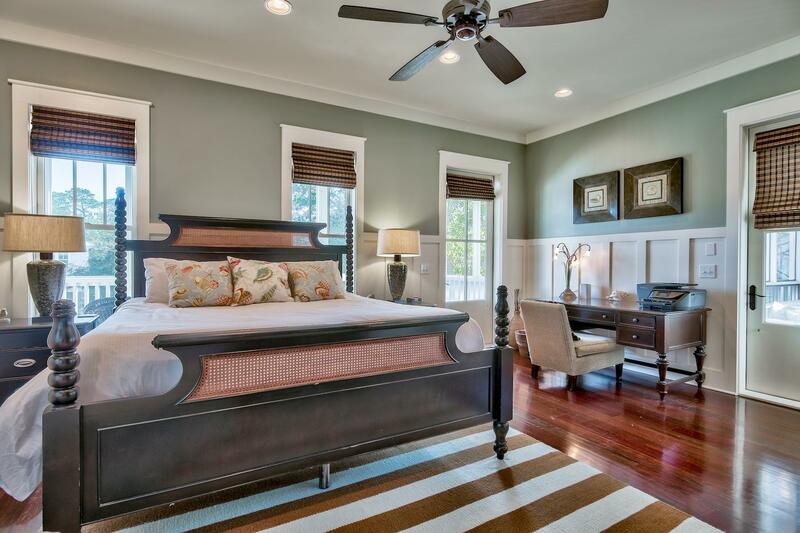 Those wishing to further enhance the property will find ample room for a carriage house in the rear.